Ensuring that water used in your production and processes meets both your production standards and legal regulations is critical to your operations. The right on-line and at-line equipment can replace time-consuming, costly and error-prone manual sampling. Two critical measurements related to organic contamination are bioburden and total organic carbon. 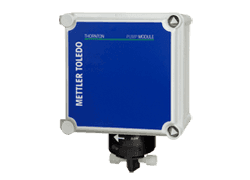 METTLER TOLEDO offers a range of continuous, on-line sensors for total organic carbon analysis and at-line analyzers for microbial detection related to bioburden measurements. What is total organic carbon? Total organic carbon, or TOC, is a measurement of all of the organic contaminants in a water system. It is one indicator of water quality in pharmaceutical manufacturing, semiconductor manufacturing and power generation. Why measure total organic carbon in water? Measuring TOC in water is important because high rates of TOC in water can degrade water purification systems, contaminate batches, reduce production yields and damage equipment. I already measure conductivity; why do I need to measure TOC? Conductivity measurements are great for identifying ionic contamination, but generally organic contaminants are non-ionic. Therefore, they cannot be detected with standard conductivity measurements. How does a Total organic carbon analyzer (TOC analyzer) work? Typically, TOC is measured off-line in a lab for high concentrations (>1 ppm), and on-line for concentrations lower than 1 ppm. On-line detection is quicker than lab methods; therefore, you can more quickly make a change to your process when there is an unexpected increase of TOC. 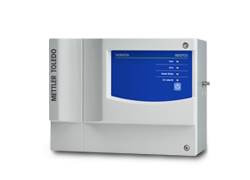 METTLER TOLEDO TOC analyzers use UV oxidation and differential conductivity measurement. High performance digital conductivity sensors take a conductivity measurement before and after a sample of the water is exposed to 185 nanometer UV light. The UV exposure breaks down the bonds in the non-ionic, organic compounds (oxidation) which creates carbon dioxide and water. This further forms carbonic acid, which dissociates into ionic conductive species. The increase in conductivity after oxidation is directly proportional to TOC measurement. Where should I measure TOC? Ensuring low organic levels prior to water return during recycle and reclaim processes. Bioburden is the number of bacteria living on a non-sterile surface. When talking about water, we generally discuss microbial contamination, which is a measurement of the bacteria in water. Microbial contamination regulations vary substantially by the use of the water that is being analyzed, for example, wastewater and pharmaceutical water have very different requirements for eliminating microbial contamination. How do I measure microbial contamination of water? There are now numerous ways to measure microbial contamination of water, and USP recommends specific ways of doing so for pharmaceutical waters. Traditionally plate count methods are widely used; however, they are prone to error and can take 5-7 days for results. Plate counting also requires the formation of a colony forming unit (CFU), which is an estimation of total bacteria present in the sample. Another way of measuring microbial contamination in water is through laser-induced fluorescence, with a microbial detection analyzer. This measures the total number of cells that are present in the sample. Systems that use this type of technology allow for at-line, real-time monitoring of microbial contamination in pharmaceutical waters by identifying auto fluorescent units (AFUs). What are auto fluorescent units? Auto fluorescent units are individual microorganisms and are reported in cells/mL. The 7000RMS illuminates the sample with a laser resulting in the fluoresce of metabolites (NADH and riboflavin) which are present in all bacteria. At the same time, Mie scattering measurements determine the size of the particle that is illuminated by the laser. With the use of algorithms and sample processing, the 7000RMS analyzes the fluorescence spectrum and the size of the particle to determine that a microorganism is or is not present. If present, it is reported as an AFU. What are the different types of water used in pharmaceutical production? Laser-induced fluorescence technology delivers instant detection and quantification of micro-organisms. 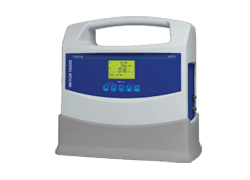 Reduces lab measurements and increases process control. On-line TOC analyzers provide continuous, fast and reliable monitoring of TOC levels, and help to ensure that TOC excursions will not be missed. Proven, continuous measurement technology provides the fastest response time in a portable TOC analyzer. A valuable and convenient tool for water system diagnostics. Measurement of individual cells, reported as Auto Fluorescent Unit (AFU). Limit of detection is one AFU. No sample preparation, staining or incubation required. Touchscreen operation. User-defined alarm and alert thresholds. Provides a highly stable, metered flow of process water to the TOC sensor to ensure reliable and consistent TOC measurement performance. Taking cell cultures of pharmaceutical water has long been the most common and accepted practice for measuring microbial contamination. While accurate when done correctly, the process of lab testing pharmaceutical water requires a significant time delay before acquiring measurement results. This, along with the possibility of mishandled samples, leaves room for error or contamination in your water. This white paper explores an accepted, alternate technology for at-line, real-time microbial contamination monitoring. This free 40-page guide on regulatory compliance, analysis and real-time release of pharmaceutical waters covers a wide variety of topics relevant to those involved in pharmaceutical water management. The guide covers process analytical technology (PAT) and Intelligent Sensor Management (ISM), and focuses on providing knowledge and case studies related to total organic carbon (TOC), conductivity and resistivity, and ozone measurement. The Process Analytics catalog includes product features and specifications, benefits and recommended application areas for the wide range of parameters which METTLER TOLEDO measures including: pH/ORP, Conductivity, Turbidity, Dissolved Oxygen, Dissolved Carbon Dioxide, Gas Analytics, Total Organic Carbon, Sodium, Silica, and Microbial Contamination. It also highlights the transmitters and housing that are needed to make an entire measurement system. Continuous on-line monitoring of total organic carbon in pharmaceutical water systems helps operators to maintain the integrity of their water systems to meet quality objectives and regulatory compliance with global Pharmacopeia standards. This video highlights the benefits that can be achieved by integrating the Thornton 5000TOCi on-line TOC sensor with ISM technology. Predictive diagnostics, high responsiveness and record-keeping enhancements make this solution part of comprehensive pure water measuring system. What If Organics Are in Your Cogen Process Water?